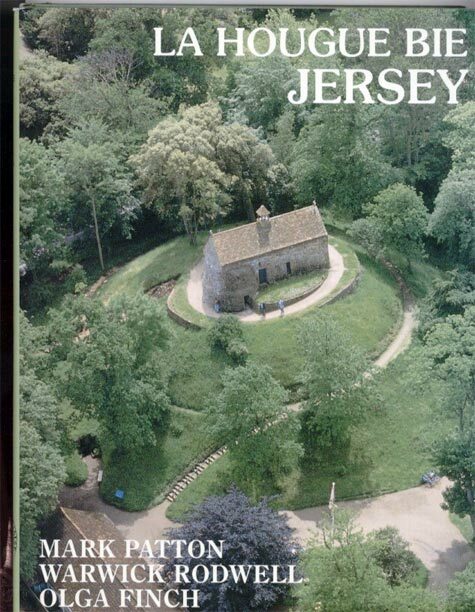 When, in 1990, it was suggested to me that I might consider excavating at La Hougue Bie, I felt as though I had won the lottery. Actually, that’s a huge understatement: if I had been given a choice between excavating that site and winning a fortune greater than those of Croesus and Crassus combined, I’d have chosen the site any day! I had known the site since I was a boy. 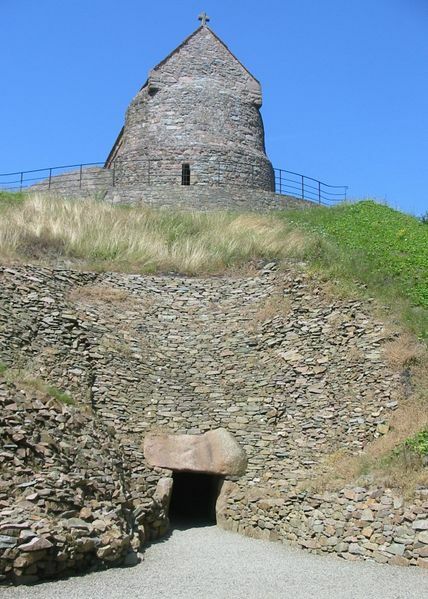 As a PhD student, I had stood on its summit looking across the sea to the coast of Normandy, trying to imagine the people who had both built La Hougue Bie itself and plied between the island and the mainland in flimsy craft, trading stone axes, and doubtless many other things that have left no trace in the archaeological record. I had also had the privilege of discussing the site with the distinguished medical scientist and geologist, Dr Arthur Mourant, who had been present when the passage grave at La Hougue Bie was first discovered in 1924. Arthur had long advocated further excavations on the site. Sadly he didn’t live to see the final results of our work, but he did live to see that work begin, and was a regular visitor to the site whilst his health allowed. Our excavations at La Hougue Bie had been directly inspired by the work of French archaeologists in Brittany: Professor Jean L’Helgouach’s excavations at Locmariaquer; Charles-Tanguy Le Roux’s work at Gavrinis; Joel Lecornec’s discoveries at Le Petit Mont. I had visited these sites as a PhD student, and discussed them with my French colleagues. Whilst previous generations of archaeologists had concentrated exclusively on the passages and chambers of such monuments, L’Helgouach, Le Roux and Lecornec explored the external structures, showing them to have been complex buildings, with elaborate rituals conducted in the forecourts as well as inside the chambers. We worked with a mixed English and French team, including a number of people who had previously worked on the sites in Brittany. I valued their experience enormously. I had plenty of excavation experience before I tackled La Hougue Bie, but this was on a far larger scale than any of my previous excavations. We had up to fifty students in the field, often in challenging conditions (the mound is steep, and treacherously slippery after rain). It was an expensive project, requiring me to liaise with civil engineers and landscape architects as well as a wide range of archaeological specialists. My mistakes were not, for the most part, archaeological ones but rather management ones: handling people clumsily on occasions; not building in sufficient contingencies in planning the budgets; not asking the right questions soon enough of the engineers and architects. It certainly gave me an enhanced respect for the art of management and inspired me, some years later, to study for an MBA. Some of those who dug with me were surprised at how carefully we picked our way through layers of 18th and 19th Century rubbish, and Medieval rubble, to get to the Neolithic layers beneath them, but it was clear to me from the outset that this was a monument that had been in a near-continuous state of transformation for six thousand years, and that we had to dig it in such a way as to enable us to tell its story in its changing totality. In some ways, La Hougue Bie was one of the last in a tradition of excavations going back to the early 20th Century days of Sir Mortimer Wheeler. Not only has the policy agenda now shifted from excavation to conservation, but the costs of large-scale research excavations have escalated to such an extent that they have become increasingly difficult to justify and sustain. I count myself privileged to have been in the right place at the right time to have had this unique and exciting opportunity. Click here for a link to an online account of the site by Maggie and Keith Davison, with superb photographs.